WebsterX's New Trio Of Songs Denotes His Restless Summer Leading the the hip-hop Renaissance in Milwaukee, 26-year-old rapper Webster X punctuates his three new singles with unbridled charisma and a "who asked you?" mentality. With three back-to-back-to-back singles dropped in the last two months, 2018 Slingshot artist WebsterX stamps the season as a restless summer. 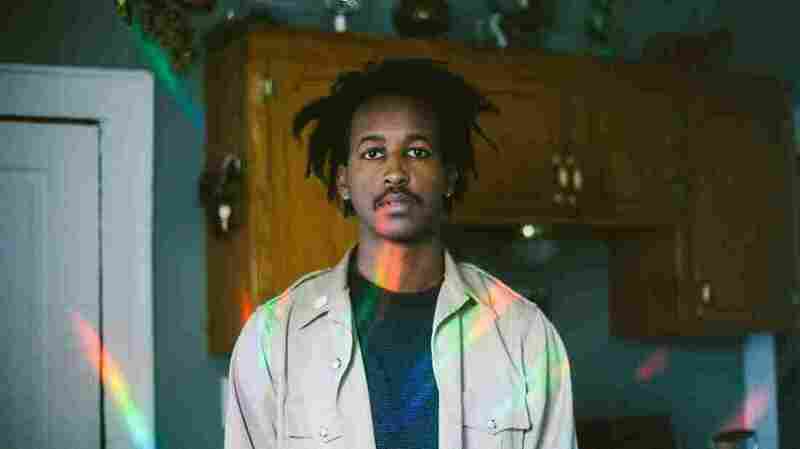 The Milwaukee rapper releases three singles delving into bleak feelings, unabashed confidence and self-identification. "Feels," comes in two parts. First, the audible notes of struggle and violence. It's a bleak world, and sometimes in Milwaukee, a city whose violent crime rating is worse than 95% of the country, it can feel a little bleaker. A gunshot rips through the song at the two-minute mark. As the second part of the song starts, it's little more starry and reflective than the initial blast of energy. Midway through the verse, WebsterX lays down a mission: "The task is black youth to make it past twenty." At 26 years old, he's made it there, and now he's doing work to pull Milwaukee's black youth to the other side with him. In 2015, WebsterX started FREESPACE, a monthly, all ages, free music showcase that invites Milwaukee's young creative to come together and collaborate. That idea evolved into The New State, an upcoming permanent all-ages music venue, engineering studio, consignment store and performance space in the heart of Milwaukee. "No End" is the song you wait for at the show. And once, it starts you're waiting for WebsterX to hit the chorus "Yaaaa 'til there is no end." The way he sings it, it's an invitation for you to sing along with him; to close your eyes in the darkness, open your mouth, and yell like there is no end. The feeling of opening up and yelling together is a central part of WebsterX's music. Some artists like to hole up and produce in isolation, but WebsterX is a collaborator. Milwaukee's hip-hop scene is in a renaissance right now with Lorde Fredd33, ishDARR, and WebsterX leading the way. WebsterX occasionally performs with his artist collective, New Age Narcissism, where each artist plays their own solo songs, but they perform them with the group. It's like The Avengers of music. We have never seen anything quite like it, and we may never see it again. Here, he comes together with long time collaborator Q the Sun and up-and-coming Milwaukee producers Immortal Girlfriend. When they pull back all the production to have WebsterX yell, "Ima push the limit till there is no end" it may sound like it, but he is not alone. There is a reluctant optimism in "Ain't My Fault." "I actually give a f***" WebsterX spits defensively in the opening bars of the song. In a music scene that's as close and connected to each other as Milwaukee's, there is inevitably going to be backstabbing, infighting, and questions of legitimacy. In this dark clap back to those fringe conspiracy theorists, WebsterX defends his own identity. There is something beautiful about hearing someone sneer, "Mineral water we sipping" with genuine malice. And there is something touching about knowing that WebsterX cares enough to write this song. No one should feel like they have to apologize for being themselves, and here WebsterX says that with authority. It's a dark song from an artist that's full of light.